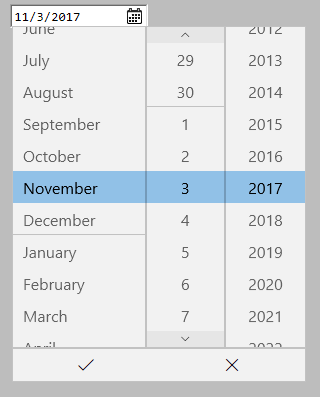 My Silverlight project uses the Xaml DatePicker on many of the input forms. 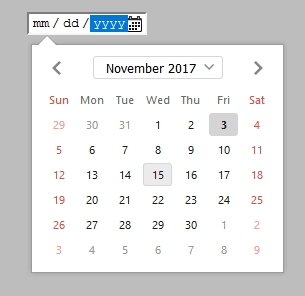 Error	1	C#/XAML for HTML5: XamlPreprocessor (pass 1) failed: Type not found: "DatePicker" in namespace: "http://schemas.microsoft.com/winfx/2006/xaml/presentation/sdk". 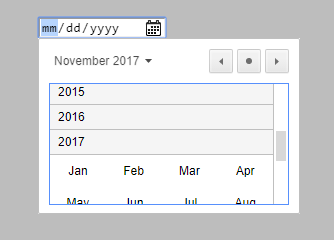 Can anyone please advise on best practice steps to remove this error and continue with the migration? 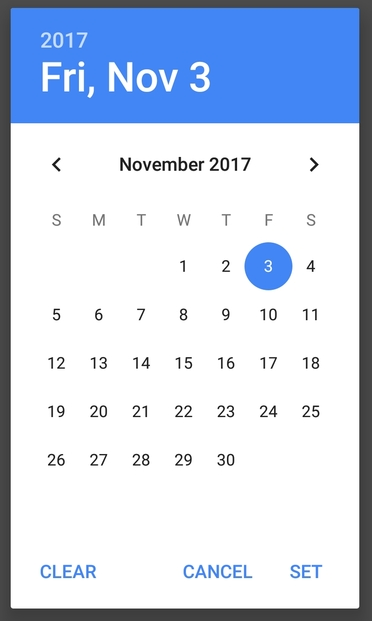 We are working on the DatePicker control and plan to provide it in one of the very next builds. 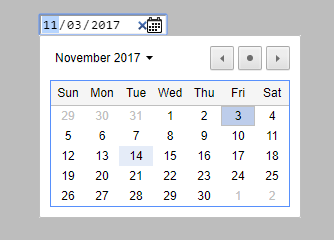 I have posted a Native HTML5 (CSS+webkit) DatePicker control for CSHTML5 in the "Extensions" forum, that works in Google Chrome, Microsoft Edge, Android, Opera and the current Firefox BETA (but not the current Firefox public release). 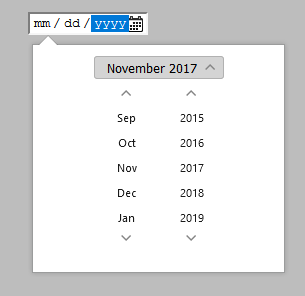 Does not work in IE11.